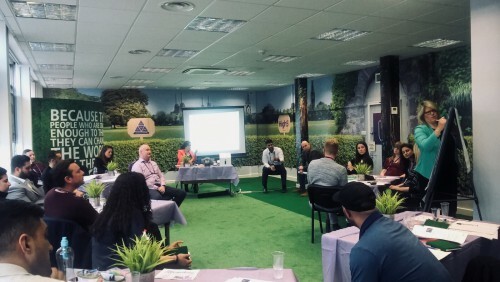 To create a fun, engaging and interactive space for Heathrow’s Terminal 5 ‘High5!’ security training programme, Creative Triangle brought the community garden theme into the training room – playing on the idea of growth and development. The design featured garden graphics for the walls, bees featured on the display to highlight Heathrow’s honey which is now sourced in over 7 locations at the airport, contravisions for the windows, artificial grass for the floor and inspirational imagery for the doors. To compliment the motivating environment, Creative Triangle also produced merchandise including pin badges, pens, notepads and more. Feedback from the attendees so far include ‘imaginative and thought provoking’, ‘great design’ and ‘fun, interactive and engaging’. Creative Triangle are thrilled to have been nominated in the ‘Best use of Photography’ category for The Drum Cream Awards for the University of Warwick in London’s visual identity design and application. Follow the link to find out more about this project and to see who our competition are! Creative Triangle recently created the graphics for Medipal’s stand at the Infection Prevention Society’s 2017 exhibition. The stand needed a bright, clean and fresh design for instant impact. 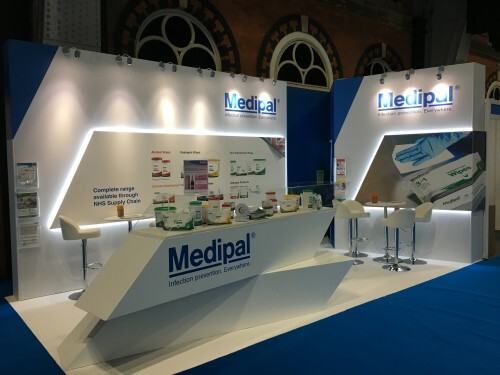 The simple messaging helped to inform and attract potential clients and partners to find out more about Medipal’s revolutionary infection prevention range of products. We have recently completed two new brochures on behalf of BSS’s own brand, BOSS. One 6-page brochure features hand tools whilst the 8-page brochure contains products within the area of Chemical Water Treatment. 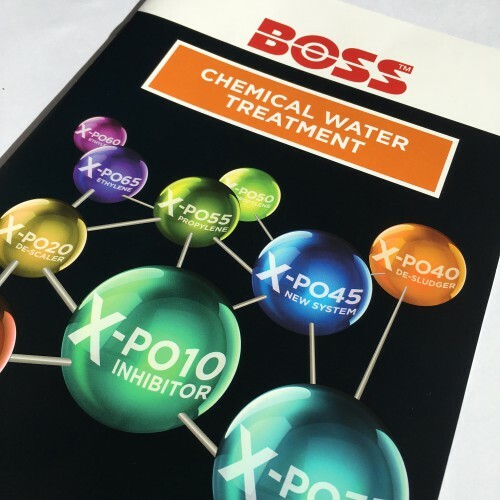 The two brochures are among the first to adopt the new literature layout developed for BOSS in 2017 to compliment the product’s updated packaging and brand identity. BOSS is BSS’s very own brand that has been established as a premier quality alternative by continuing to promote the key principles of quality, reliability and value for over 100 years. Having worked with the University of Nottingham for a couple of years, and with the Careers and Employability Service since last year, we were delighted to be entrusted with the implementation of the new brand across this year’s campaigns. 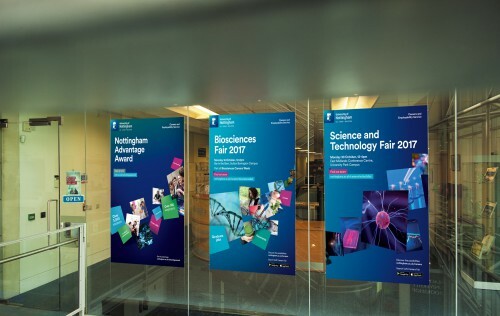 Following example files, we selected images, designed and artworked the new identity across a large suit of marketing collateral including brochures, posters, postcards, pull up banners, digital banners and more for careers fairs, drop in sessions, events and student communications.